ie. Just on the arms, face/legs to complement the styling of a collection eg. a tribal theme, animal print, exotic cultural reference or logo-based. 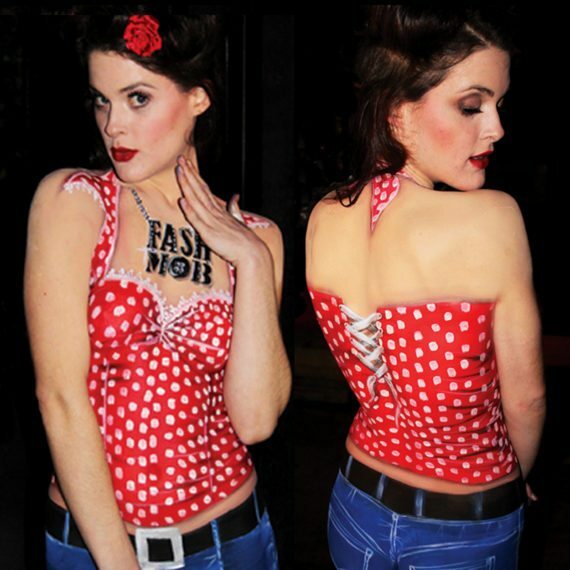 This is a popular form of event entertainment, where a model is painted in 3D realistic clothing as a live visual display during the cocktail portion of the event. The model will often then walk the runway during the show, or to close the show, creating a ‘double-take’ optical illusion where onlookers are intrigued to decipher whether the clothes are real or painted. 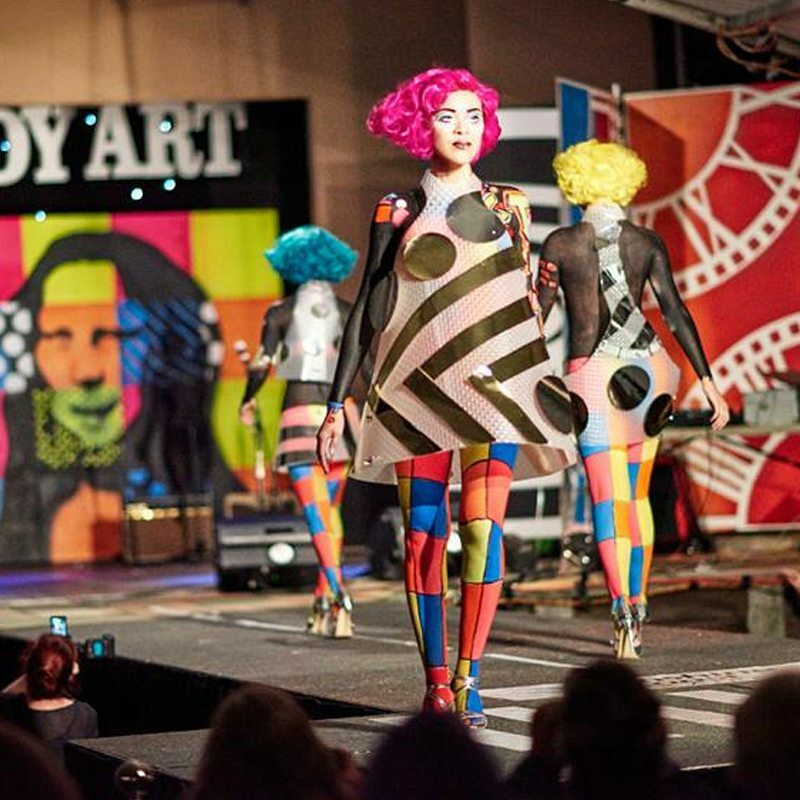 This makes for fantastic photo/media opportunities, particularly when a logo is incorporated into the artwork, or the body paint is themed to complement the designer’s collection.